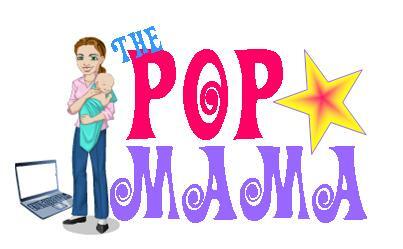 Pop Mama: In the words of Michelle Tanner - HOW RUDE! In the words of Michelle Tanner - HOW RUDE! Yesterday as I was healing, resting and feeding on the couch I caught up with my favorite vapid television family -- the Kardashians. I watched a few episodes of Kourtney and Kim Take New York and ultimately decided that the least offensive Kardashian is Khloe...if you can believe that. The episode that I want to comment on was the one where Kourtney and Khloe go to visit Scott Disick's parents in the Hamptons, for what appears to be Labor Day weekend. The episode is pretty much a snooze with Kourtney and Scott fighting (what else is new) and Kim and Kris fighting (separately in Minnesota), but the part that got my attention is when Kourtney takes it upon herself to "help organize" Scott's parents house...without them knowing. She literally throws things that she finds irritating or dated outside in the yard of their house without asking them. She says she is "helping" and that they appreciate it. Later we find out that Scott's mother does NOT appreciate it -- duh! Kourtney's behavior on this episode is literally some of the rudest behavior that I have seen out of the Kardashians and that is saying something. It is one thing when you are rude to your own family, but when you go into someone else's home and mess with their belongings just because you think you know better than they do, that is revolting. Kourtney comes off as a complete idiot to think that someone may not take offense to her actions and it just proves that she is living on a different planet than the rest of us...a self-involved one at that. It was encouraging to see that Khloe thought that these actions were also out of line...and that is why I find her the least abhorrent of the sisters at this moment.